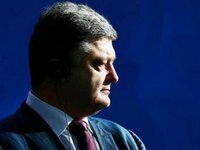 Ukrainian President Petro Poroshenko has stated that he doesn't believe the newly created Information Ministry will become a ministry of censorship. "I think it's foolish," Poroshenko told journalists at an airfield in Chuhuiv (Kharkiv region) on Saturday. According to the president, the main function of the ministry is to combat biased information against Ukraine. "I'm sure that the war, which is being conducted against Ukraine today, is being fought on all the fronts, including the information one. The main function of this ministry, as far as I see it and as I have been informed, is to carry out external actions, to stop the aggressor's attacks on Ukraine. I'm sure that today the promotion of truth about Ukraine in the world is a function not only for a government's ministry but for all of us," the head of state noted.